Looming federal health care decisions and state budget cuts served as the backdrop for the first Children, Families, Health, And Human Services Interim Committee meeting Thursday. The committee is charged with monitoring the state’s health department, developing legislation, and conducting studies issued by the previous legislature. 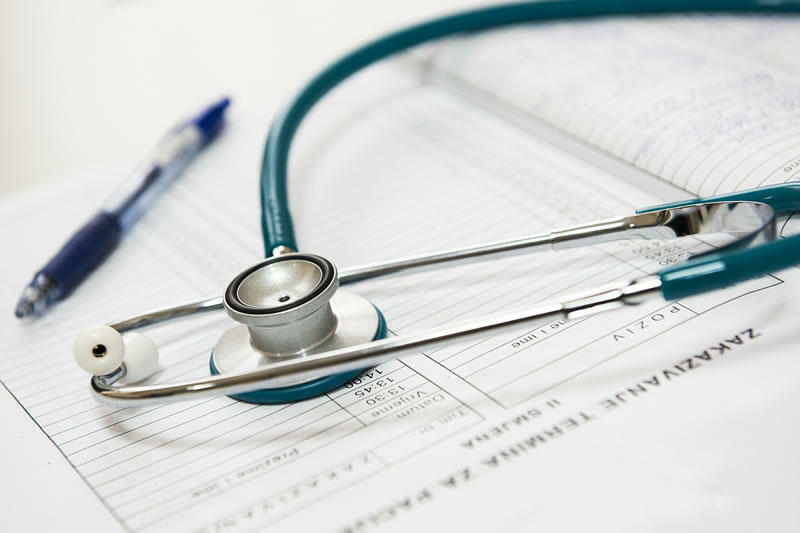 During this interim, the committee will oversee a study lawmakers voted to make their top priority - looking at the influencers in health care cost, efforts to make prices more transparent and ways to help people make more informed health care decisions. Representative Kathy Kelker of Billings developed an outline for the study. "I have heard from probably every health care advocate in Montana since the legislative session ended," Kelker says. "They're telling me ‘I want to collaborate, I want to be part of this discussion so we can do it better." The health services committee voted Thursday to create a separate working group dedicated to this issue made up of health care professionals, lawmakers, business representatives, and state officials. Kelker says the committee is expected to come out with legislative proposals next May. The committee will also review the state’s Medicaid expansion program, which was passed in the HELP Act in 2015. Lawmakers will need to approve that program again in 2019, otherwise it will expire. As of May of this year, more than 77,000 people were enrolled in the state’s Medicaid expansion program. Senator Eric Moore, a Republican from Miles City, told the committee it should remain flexible over the next year and half as it works on these studies. 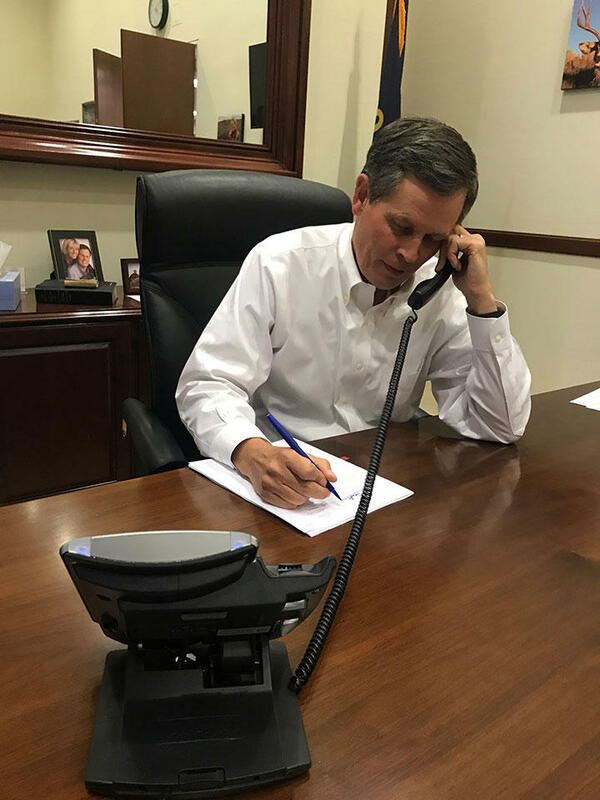 "There is going to be phenomenal changes at the federal level, of some degree, and what the fiscal impact and the policy impact will be on the state of Montana is impossible to predict, but we may get three months down the road and scrap our work plan. And it’s going to be all about how we provide for Medicaid at a 70 percent match rate as opposed to 90 or 95, who knows." 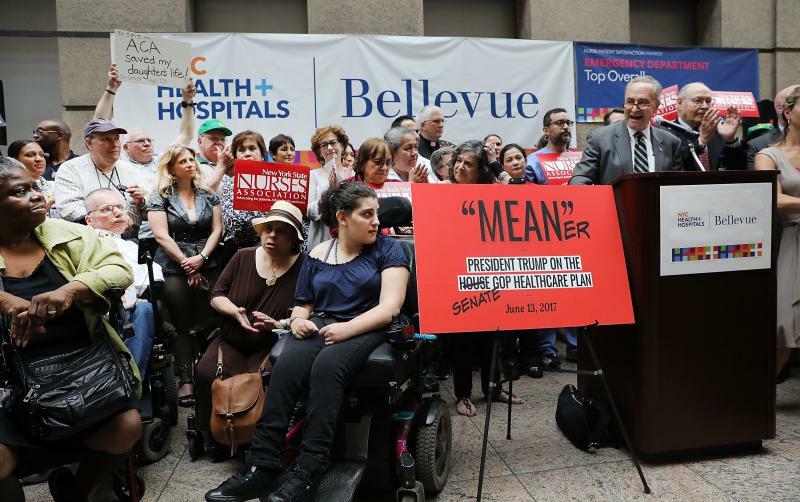 While state lawmakers watch and wait for federal action on health care, they’re anticipating a shortfall in state general revenue projections, which could trigger cuts in Medicaid expansion programs and provider rates. If those cuts are triggered, they’ll be announced in mid-August. The Children, Families, Health, And Human Services Interim Committee will finalize its work plan at its next meeting in September. 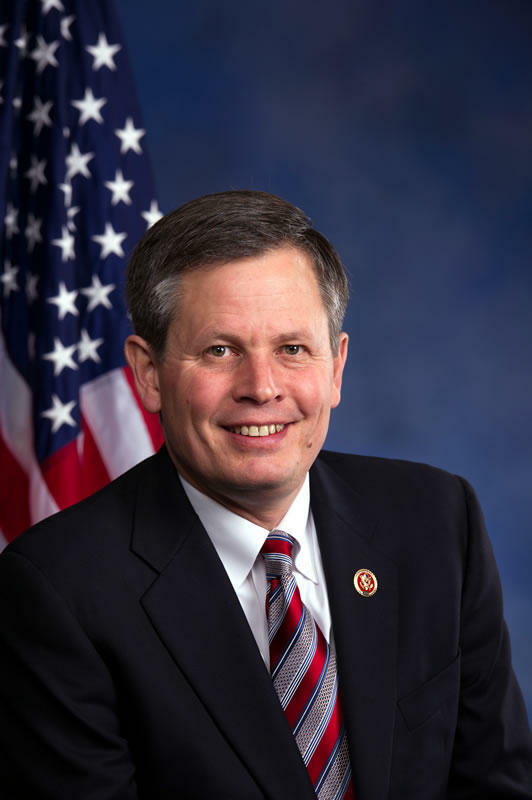 Montana’s Republican U.S. 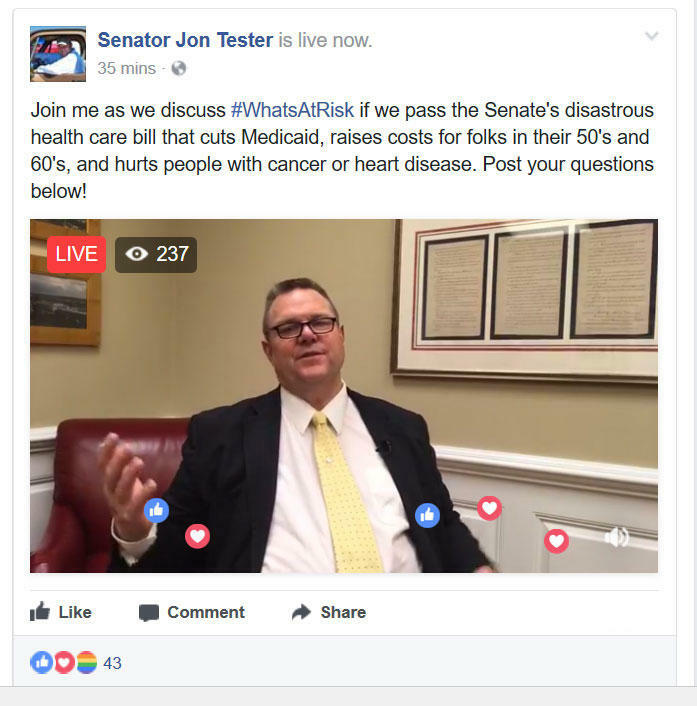 Senator says that while he has not yet decided if he’ll support the Senate health care bill, one issue would be deal breaker for him. As written, the Senate health care bill de-funds Planned Parenthood for one year.